You are welcome, dear Guest! 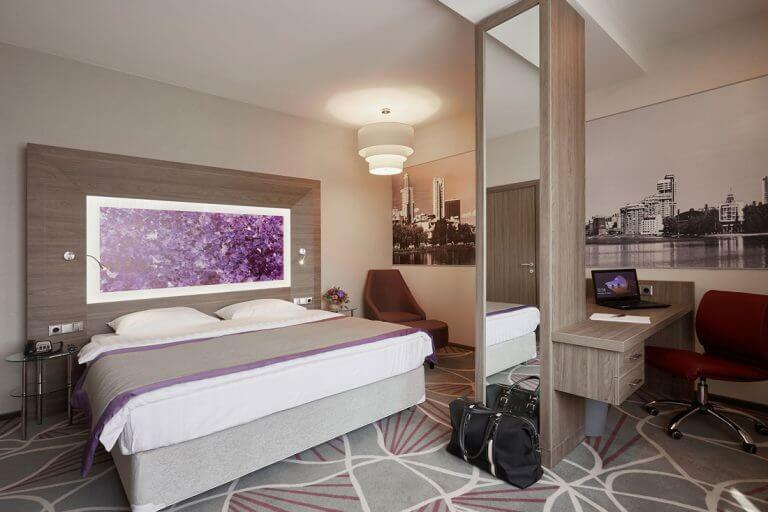 We are glad to see you at “TENET” Hotel! 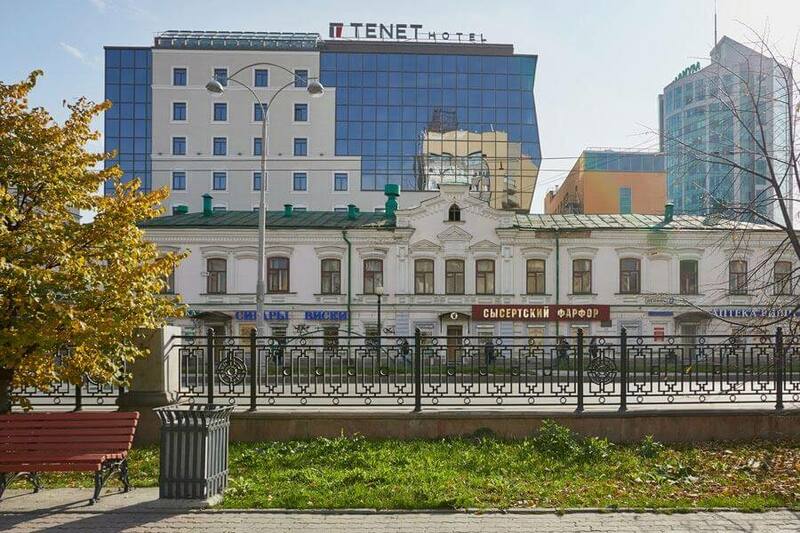 Our new Hotel is situated in the very center of Yekaterinburg. A few-minute pleasant walk – and you are in the heart of the city. We revere traditions of hospitality and follow the best of them. 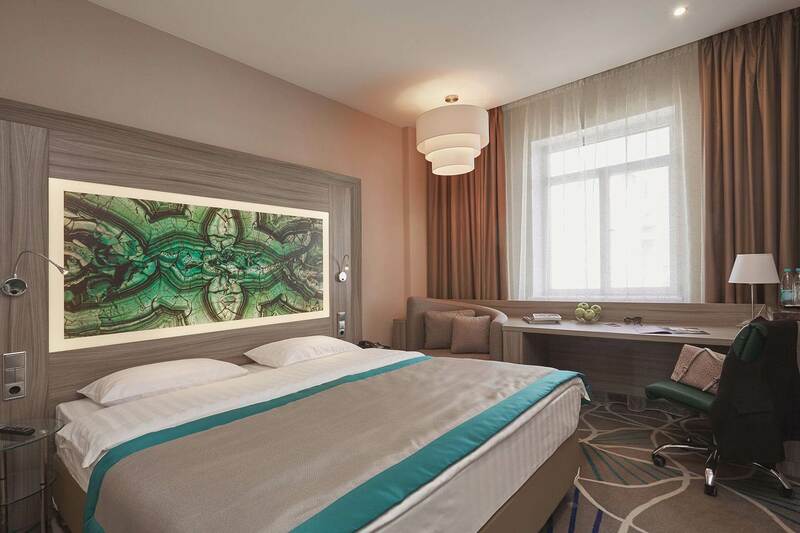 At the same time, our Hotel meets the latest tendencies: comfortable rooms have got everything necessary for a good rest or fruitful work. If your visit has a business goal, we will be glad to provide you with meeting rooms, multi-functional conference halls, business breakfast or lunch. The most important business and cultural places of the city are at a walking distance. 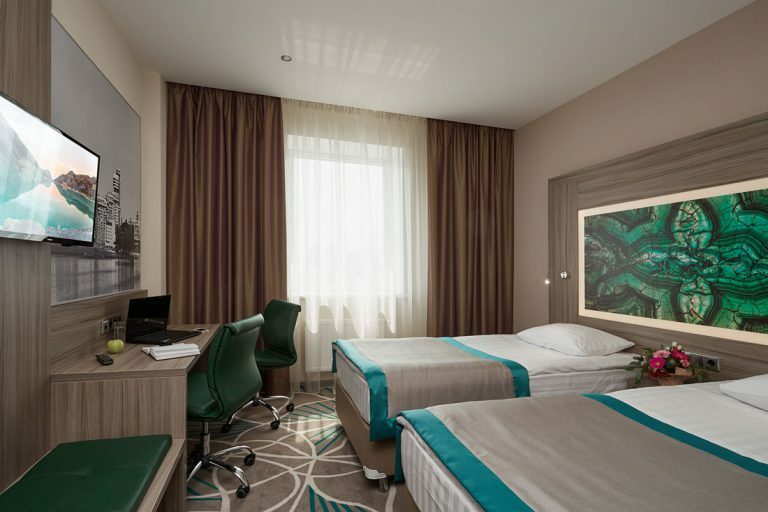 The room has a comfortable working zone and a cozy relaxation zone. 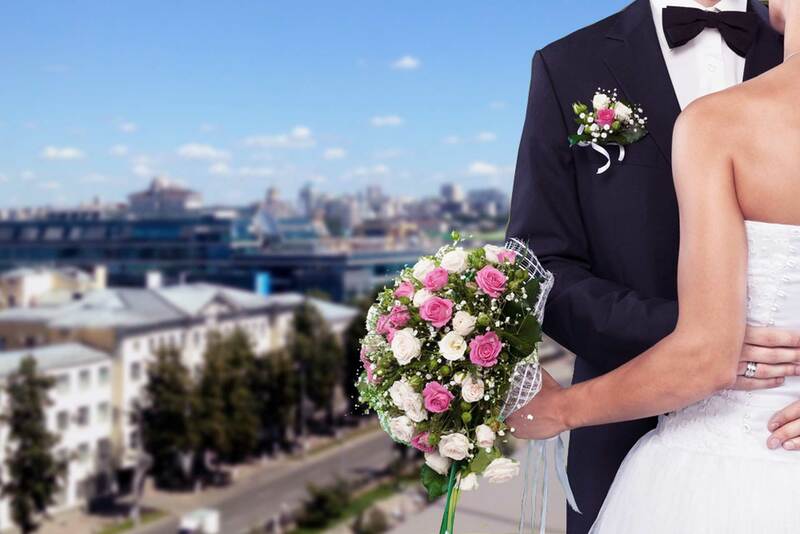 If the goal of your trip is recreation and excursions, we will be glad to provide you with a room having a fantastic view of the city out of the window, offer variants of excursions, arrange a photo shoot with Yekaterinburg of the XXIst century in the background or, vice versa, the photo shoot in the style of the Old City. Our Hotel restaurant will serve you with buffet breakfasts, dinners and business lunches. An interesting evening menu is distinguished by dishes from the culinary heritage of the Urals merchants from the XIXth century. 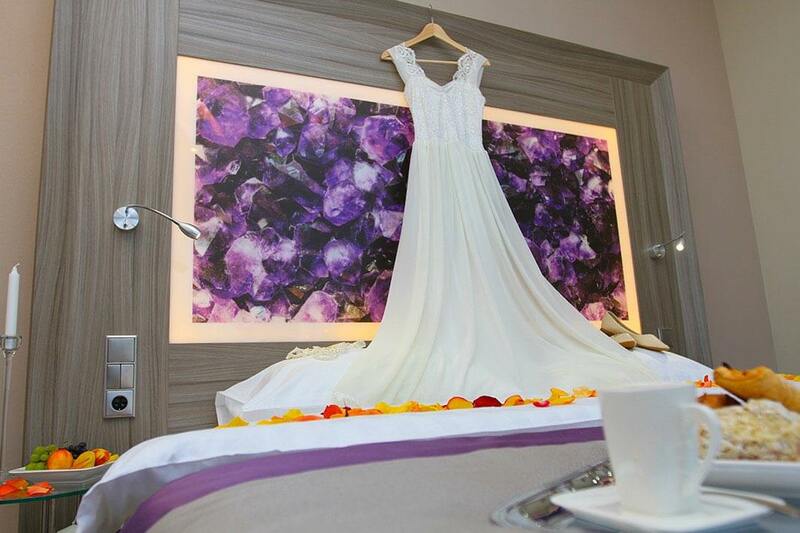 “TENET” Hotel is a choice of those people who know what a good rest is and who always want to be in the thick of events. 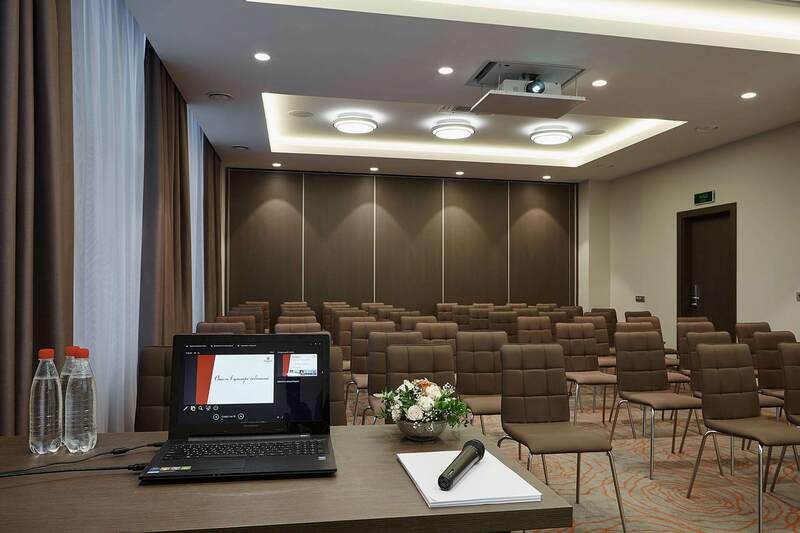 Conference Hall of «TENET» Hotel is an attractive business platform for events of different formats. It includes five conference rooms with various capacity, meeting room, convenient separate area for registration and a business center. Here is everything you need for effective events.